— A possible solution for the Linnorm field. Four years passed before drilling began, but the crew on the Transocean Leader rig could spud the first wildcat in the middle of June 2004. 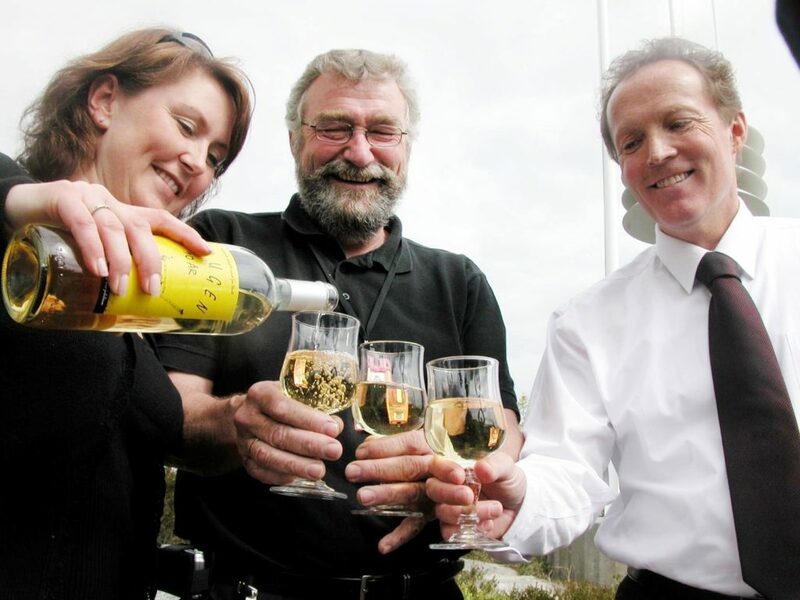 It took almost a year to complete, but work finished on 2 June 2005 with a small discovery. Several wildcats were drilled in the acreage dubbed the “golden block” of the 16th licensing round, but none resulted in finds large enough to prompt immediate development plans. That could be described as unfortunate, since Shell had been hoping to find oil. Its optimistic plans for this Onyx discovery were accordingly toned down, but an appraisal well was drilled in the spring of 2007 to learn more about the reservoir. More gas discoveries were eventually made further north in the Norwegian Sea. The most promising was Luva, discovered in 1997 and renamed Aasta Hansteen on 8 March 2012. But substantial development was delayed, partly because the finds were too small and partly because of the need to lay an export pipeline. Two large gas transport facilities from the Norwegian Sea existed after 2007 – Åsgard Transport and Langeled. However, these lacked the spare capacity to handle additional volumes. In addition to launching the name hunt, the first issue of the Shell World Norge house journal contained several buoyant articles about expectations for the discovery. 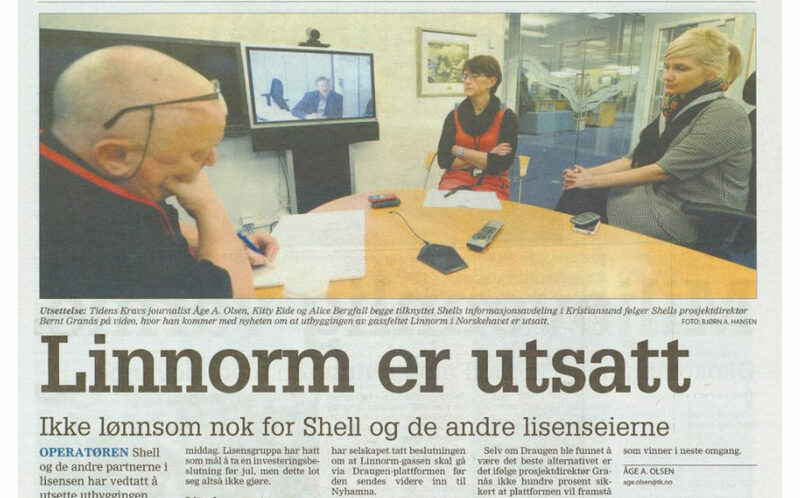 Norske Shell vice presidents Grethe Moen and Knut Mauseth were also quoted about their optimism for Onyx. A press release the following summer made it clear that the best solution for Linnorm involved a subsea installation tied back to the Draugen platform. Gas from there and Luva would be piped to Nyhamna for processing and onward transport, together with output from Ormen Lange, through Langeled to Easington in the UK. That could be accomplished by installing a 3 000-tonne process module on the Draugen facility and by making a number of substantial modifications. By the early autumn of 2012, Shell and a number of other oil companies – Statoil in particular – appeared to have come up with a possible solution for developing several gas finds in the area. At that time, Linnorm and Luva/Aasta Hansteen were regarded as the cornerstones for achieving commercial development of all the gas fields in this part of the Norwegian Sea. An impact assessment presented by Shell in September 2012 again envisaged a 50-kilometre pipeline tied back to the Draugen platform. [REMOVE]Fotnote: A/S Norske Shell (September 2012) Plan for development and operation of Linnorm, part 2, impact assessment. The latter would have to be expanded to process 15 million cubic metres of gas per day, which would require the construction and installation of several new modules. At that time, oil was well over USD 100 per barrel and gas prices were also sky-high. The market looked like stabilising at a three-figure oil price. A development project for Linnorm was costed at close to NOK 10 billion, and the project management envisaged the licence taking an investment decision in the autumn of 2013. The plan for development and operation (PDO) of this field was expected in January 2013. On 20 November 2012, however, work was postponed indefinitely in anticipation of results from a well to be drilled further south on the discovery. Hopes were high that this appraisal would prove gas which increased the reserve base and thereby justified development of the whole field. In practice, however, the well was declared dry on 5 September and Linnorm seemed to have been definitely abandoned. This was not what we hoped for when we started drilling. Where Linnorm’s future is concerned, no decision has yet been taken. The way forward will be discussed with the partners in the licence, who will take a joint decision on this. [REMOVE]Fotnote: Toril Hole Halvorsen (20 September 2013), “Linnorm-beslutning i høst”, Petro.no. Shell has not given up on Linnorm, even though initial efforts to achieve a development were unsuccessful. The area is still being assessed in 2018 on the basis of new solutions which could yield a financially and technically feasible project.